Back again with lovely cards for the valentine's day! 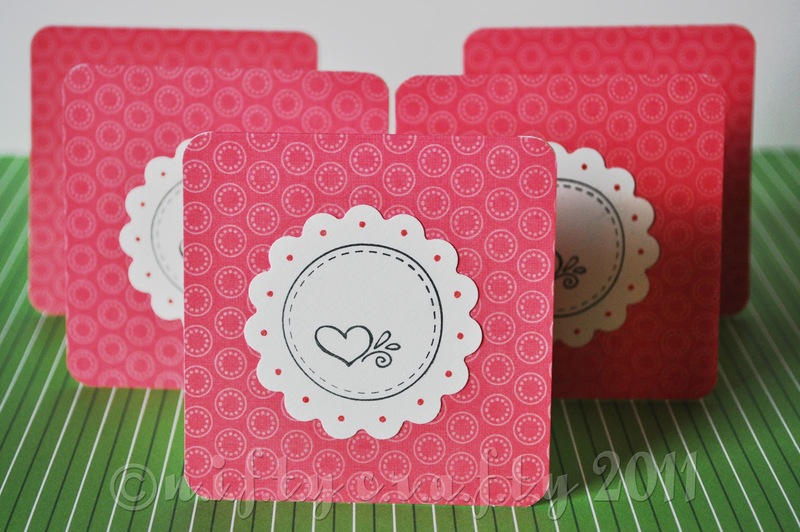 These mini cards have a lovely little heart stamped on a circle scalloped card and suitable for any kind of message. For e.g. 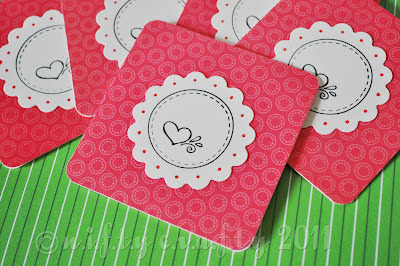 I love you, be my valentine, valentine 'thank you' or could be a great love note to accompany gifts!